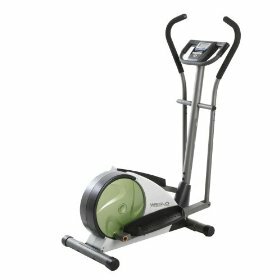 The Weslo Momentum 630 elliptical is a low to the ground, step-in trainer which is very easy for adults who might have trouble mounting full-size ellipticals. That’s about the only plus to this model. 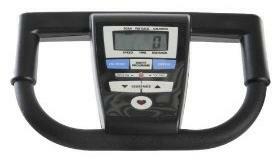 It’s made by Icon fitness to satisfy budget shoppers, but the company isn’t doing consumers any favors by offering this type of low-quality, unreliable fitness machine. UPDATE: As of 2016, it looks like Weslo is no longer making elliptical trainers. Take a look at our list of Best Ellipticals Under $500 to find a good machine in this price range. Fitness pros and experts recommend that you ignore the “250-lb user” capacity. They note that the lightweight Weslo Momentum 630 (94 lbs) is not sturdy enough for anybody over 160-lbs max, and even that is being generous. Also, since many users have issues with the cheap parts, they recommend you purchase the extended warranty (about $30 bucks) to cover you for up to two years. We’ve heard complaints that users find the Weslo Momentum 630 to be uncomfortable because the foot pedals are too far apart. It also rocks from side to side even on tile or cement floors, and there are issues with the arms coming loose. Consumers who want to save money on an elliptical trainer need to take these two important points into consideration: stability and construction. You don’t want to spend $279 on something that rattles and squeaks, or worse, one that falls apart after a few months of relatively light use. The Weslo Momentum 630 is a small elliptical (6"x23"x13") that might fit nicely into an apartment or a corner of your bedroom, but will you be inclined to use it or will it be something you’ll be stuck with? The Weslo Momentum 630 elliptical is for petite little adults but we won’t recommend it for anyone. It’s a fact that you really cannot find a good trainer for under $300 and, quite frankly, you shouldn’t try. Icon Fitness builds them because they can dump them on an unsuspecting public, gambling that more people will simple stop using them and give the machine to the Goodwill, rather than try and return it for a refund. If you still want to continue your research on budget ellipticals, we recommend you take a look at the HealthRider C550e or the Eclipse 1100HR elliptical. Both cost a little more but can usually be found online for under $400. And to show that we don’t completely knock Weslo’s products, we suggest you can also do better with the Weslo Momentum 730 Discount Elliptical Trainer.